What's a taquito? Is it the same thing as a flauta? Which is spicier: a chipotle pepper or a jalepeño? We'll admit it—gastronomy in Arizona can be confusing. In the Arizona Food Defined series, we fulfill your culinary curiosity about the Grand Canyon State. What's the difference between red and green salsa? The short answer (other than the color): Red salsas are made from chiles that are ripe, while green salsas are made from chiles that have had less time to mature. Think of a chile like a bell pepper—red and green bell peppers taste different, even though they're essentially the same thing. That's because red bell peppers have been allowed to ripen longer, so they're sweeter. Green bell peppers are picked sooner, so the flavor is more bitter. Ripe chiles make red salsa, less mature chiles make green salsa. Seems simple, right? Think again. Aside from the maturation of the chile, when it comes to building a red or green salsa, the rules are far from rigid. Green salsas tend to sport green chiles like jalapeños and serranos, but red salsas have been known to include these too. Cilantro often makes an appearance in both, but more so in green salsas, which feature an overall herbal flavor. 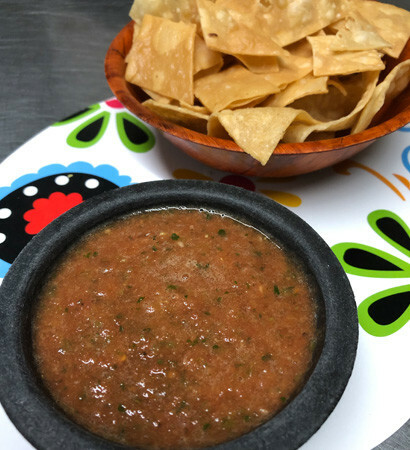 Typically red salsas are served slightly chilled, while green salsas can be served chilled or as a warm sauce. Another general rule? Red salsa is hotter than green. But, again, there are exceptions. A salsa's consistency can change also. 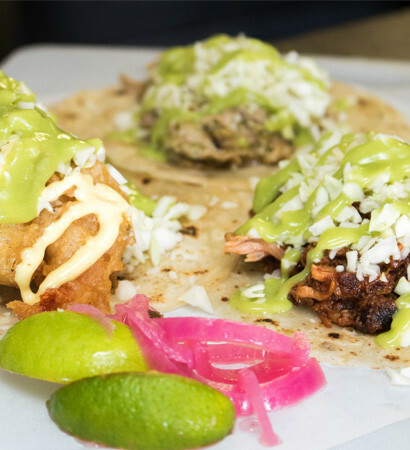 Smooth, chunky, or somewhere in between; it depends on the addition of ingredients like dried chiles, onions, avocado, even mango, and how these ingredients are prepared (grilled, boiled, sautéed, charred, served raw). All of this to say, red and green salsas aren't simply the sum of their parts. They shift in flavor, texture and heat based on growing and preparation methods, long-held family recipes and new, innovative twists. The first known use of spice to flavor food goes back to the Inca, Mayan and Aztec Indians of Old World Mexico and Central America. When the Spaniards arrived in the early 16th century, they took notice of the condiment, added their own ingredients, and called it salsa, literally translating to "sauce." Over time, the use of peppers has morphed to encompass an approach that experiments with new methods while respecting salsa's heritage. 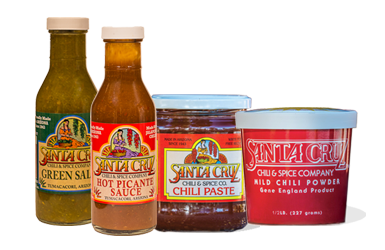 For example, in the 1940s, Gene and Judy England founded the Santa Cruz Chili & Spice Co. in Tumacacori, Arizona, just north of the Mexico border. Gene advanced the time-honored (and previously time-consuming) tradition of the handmade red sauce by using repurposed World War II equipment to create Santa Cruz Chili Paste, a mature red-chile-turned-paste (there is also a powder version), which can serve as the base of any red salsa or sauce. Arizona native Ed Curry of Curry Farms—in southeast Arizona, near Pearce—launched Curry Seed and Chile Co. more than 30 years ago, using cross-breeding genetic techniques to successfully grow chiles uniform in taste, heat and quality. That was good news for big-time salsa makers who aim for across-the-board consistency. Today, the genetic origins for nearly 90 percent of the chiles grown commercially in the U.S. are traced to Curry's chile varieties. Patagonia resident Gary Nabhan, who moved to Arizona from Indiana in 1974, works to keep the peppers as pure as they were thousands of years ago. Nabhan and co-founder Mahina Drees started Native Seeds/SEARCH in 1983 to conserve the genetic diversity of the Sonoran Desert, including Sonoran and Del Rio chiltepin peppers. In 1999, with botanist Jack Kaiser and the U.S. Forest Service, Nabhan established the Wild Chile Botanical Area, a 2,500-acre preserve near Tumacacori for the natural population of the super spicy chiltepin. There's always the chips-and-dip use of red salsa, a classic way to savor the condiment that never goes out of style. To branch out from salsa-as-appetizer, try these tips: Use green salsas on foods that are mellow in flavor, such as white fish or shrimp tacos. Red salsas add a punch to carne asada and rich pork-filled tamales. Huevos divorciados (meaning: divorced eggs) is a traditional Mexican dish that floats over-easy eggs in a divided red-on-one-side, green-on-the-other salsa soup—an ideal opportunity to sample both salsas at once. The answer is everywhere. 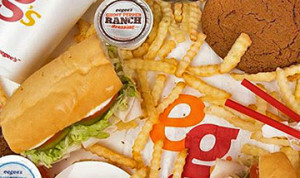 But for a special take on the sauce, check out these spots. 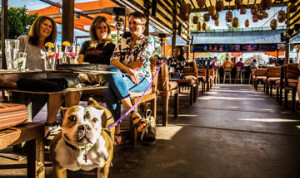 In the small towns along U.S. Highway 70, roughly three hours east of Phoenix, you'll find a collection of a dozen Mexican restaurants lauded for their fresh, homemade salsas, plus an annual salsa festival. This place offers several new salsas every day, incorporating ingredients like blueberries, peanut butter and, of course, a variety of chiles. Mary Coronado's salsa at El Coronado is award-winning, and you'll find an array of salsa options on the table when you sit down for the restaurant's famous huevos rancheros. Order chips to pair with the salsas here, which features traditional red and green options as well as radish, cilantro and strawberry varieties. 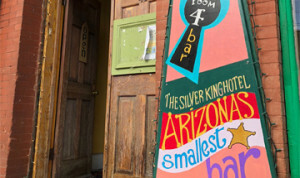 Read "Arizona's Salsa Hot Spots" for more places to put your new foodie knowledge to the test.